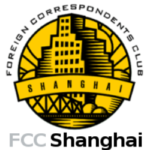 Channel NewsAsia is seeking a full-time news assistant in its Shanghai bureau. The successful candidate will work with a bilingual team of two (correspondent and cameraman) to produce news output from the Bureau. The role involves monitoring the news, generating story ideas, fixing interviews, and occasional administrative tasks. The role is ideal for self-motivated new graduates and entry-level hires looking to gain hands-on experience in broadcast journalism. The candidate must be eligible to work in China, and be fluent in English and Mandarin. Prior experience in journalism is preferred, but not a must. Please send a CV and cover letter to Channel NewsAsia’s Shanghai correspondent Linette Lim at linette.lim@mediacorp.com.sg.